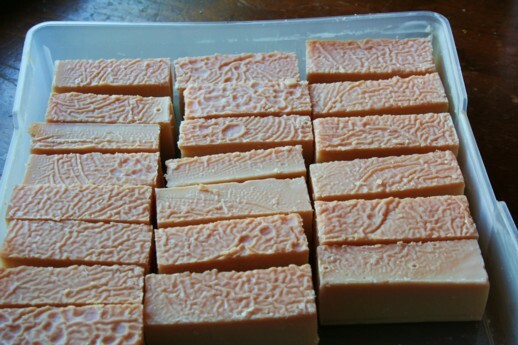 Last week I made my first batch of goat milk soap. This is clearly addictive. I made my second batch this weekend. I will make my third batch NEXT weekend. First you mix up the lye and water. This is the dangerous part, so there are no pictures of that. Then you mix up your oils (lard, cottonseed oil, sunflower oil, olive oil, whatever oils you want) Still no pictures because I can't take my attention away when working around lye. Then you blend the lye-water with your oil mixture. 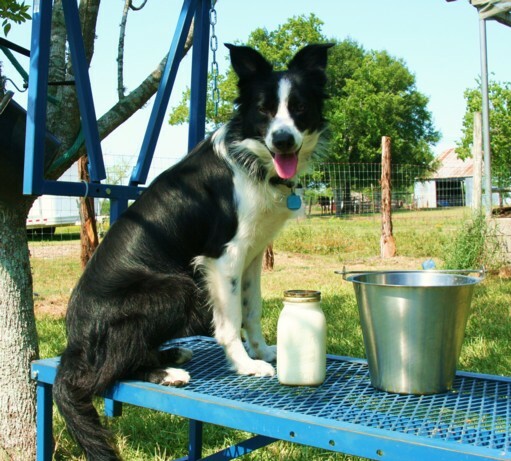 When the oils completely coat the lye-water, blend in your goat's milk. Blend, blend, blend until the mixture begins to trace. This means that when you lift your stick blender out of the substance, and droplets fall back into the substance, they will sit on the surface for a moment before they sink back into the substance. (clear? clear as mud?) I'll have someone take pictures next time. Anyway, when you hit trace, that's when you stir in the fragrance. Ahhhhh. . . the fragrance . . .
After you stir in the fragrance, you dump the mixture into the mold. I'm not happy with my choice of molds, but it's the best I've got for the time being. 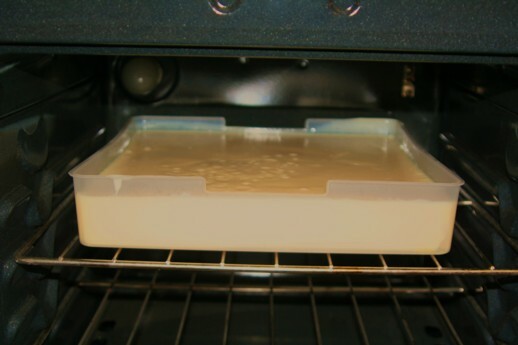 The soap mixture will heat up A LOT because of the lye. Put it in a safe place so kids, dogs, cats, and realtors don't get into it. I'm using my oven at the old house because no one is living there now. Since realtors are showing this house, I put a note on the oven. Do not disturb! I leave mine uncovered in an oven until the next day. Aahhhh. . . the smell! I got some really weird patterns on the top of the soap as it cured. I'll have to research this and find out what's going on there. Let the soap cure for a few weeks before you use it. The longer it cures, the harder it gets. From the goat to the tub! 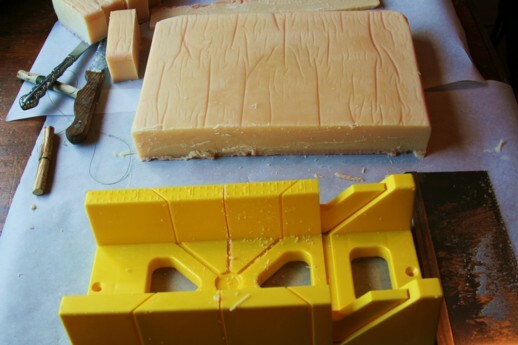 Learning to make soap is an adventure! I cannot begin to tell you how wonderfully satisfying it is. 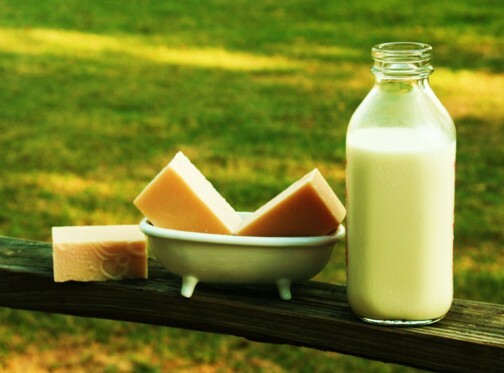 Goat's milk produces a most creamy soap that spoils you for anything else! And a special "Thank You!" goes out to Karen Buckley and Gil Loe at Rose Cottage Dog Hotel in Greenwood, Louisiana, (www.rosecottagedoghotel.com) for helping out my husband who just had some tire trouble in Lousiana. He had to get off the highway fast, saw your place with a large horse trailer and took a chance that he could find help there. Bless you! What are the odds that a man with a Malinois patrol dog would happen to stumble upon people who had Malinois dogs and did bite work? He called me up raving about your son's Malinois. Bless you again for helping him get back on the road. Since he told me that you liked goat milk soap, as soon as this next batch of soap cures, I'll pop a gift basket in the mail! The only bar soap I use anymore is goat milk soap from a lovely lady in NM....she scents it with *new mown hay* for me. (I go through about 24 bars at Christmastime. They make great stocking stuffers and little gifts.) Don't be afraid to cut them into good-sized bars, Sheri. 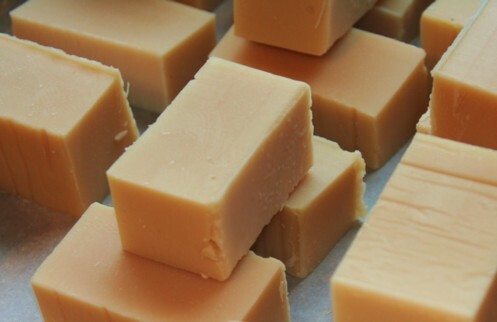 Those little molded soaps may look pretty in a dish on the counter, but they are next to useless in the shower. 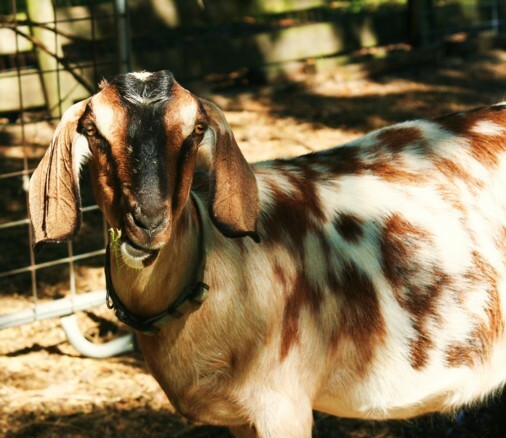 If you want to *pretty* them up, put a label on them with Ms. Goatie's picture on it. 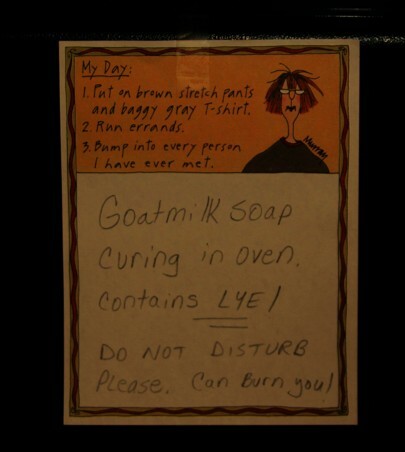 LOL....I have no idea what goat my soap comes from. I just discovered Goat Milk soap! It was a very wonderful gift, and I swear this stuff is as addicting as crack. You should not be surprised at the coincidence of Other Half finding a Malinois friendly residence in a time of need. You (and OH) obviously have tipped the Karma scales in your favor, and are now giving back some of what you've sent out. I'm thinking about wrapping brown paper strips around them that are closed with an adhesive label that has a farm name logo on it. I just haven't figured out what I want to use as the picture of logo yet. Any ideas?